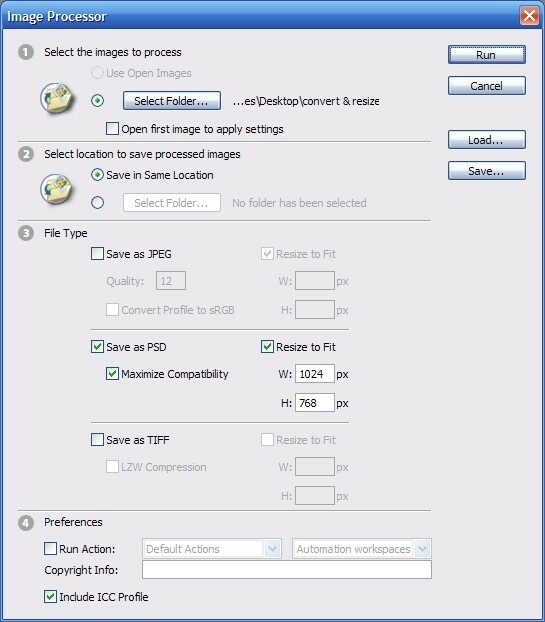 If you have a large amount of pictures that need to be resized or converted all at once and have Photoshop, there is a quick and very simple way to do it! Photoshop comes with scripts that allow it to preform repetitive tasks quickly and easily. This how to will cover using the Photoshop CS2 Image Processor (older versions have it too, but I am not sure it is in the same place or works the same). 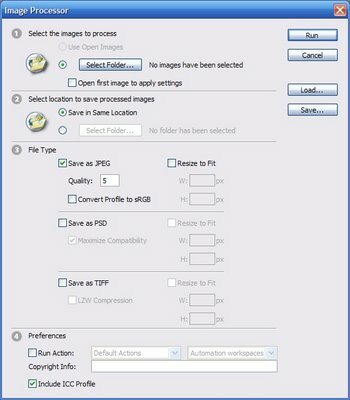 To use the Image Processor, Press the File menu, go to scripts and select Image Processor. A new box will appear with many options. 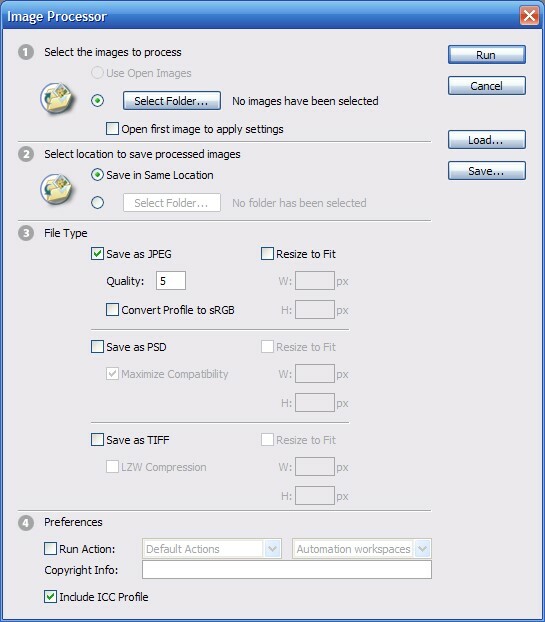 Select which folder to process and select whether to save them in the same location or not. 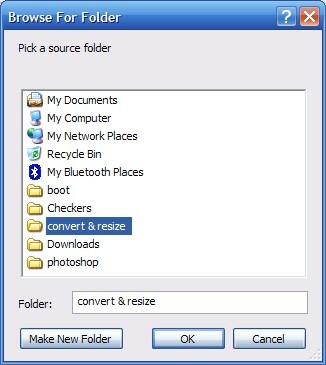 If saved in the same location, new folders will be created for the file type you converted them to (i.e. 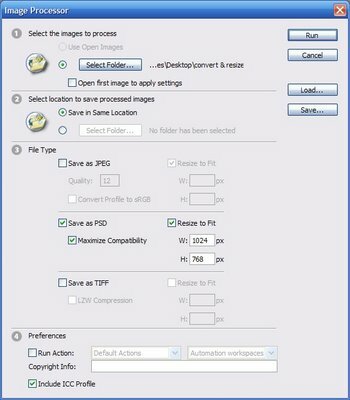 if you converted or resized to jpeg, a new folder called jpg will be made). Next select what to convert or resize them to. I chose to convert and resize my jpegs to 1024x768 PSDs. Once you have it the way you want, select run. 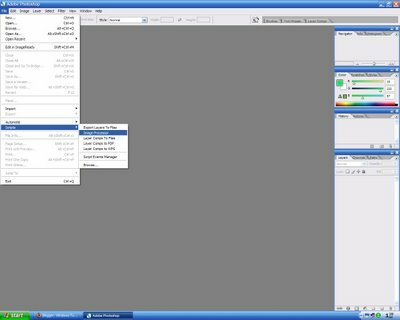 After a while depending on the amount of files and the task, it will finnish and you will have saved a lot of time doing a repetitive task.